Drinking just one can of sugar laced soda drink a day increases the risk of developing Type 2 Diabetes by more than twenty two percent compared with drinking just one can a month or less, according to a new European study. The research is published in Diabetologia, the Journal of the European Association for the Study of Diabetes. “Given the increase in sweet beverage consumption in Europe, clear messages on the unhealthy effect of these drinks should be given to the population,” said Dora Romaguera who led the study with a team in Imperial College London. Since most research in this area has been conducted in North American populations, the authors wanted to establish if a link between sweet beverage consumption and Type 2 Diabetes existed in Europe. 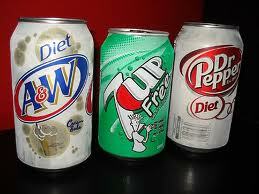 specifically to see if soda raises diabetes risk. They used data on consumption of juices and nectars, sugar-sweetened soft drinks and artificially sweetened soft drinks collected across eight European cohorts participating in the European Prospective Investigation into Cancer and Nutrition covering some 350,000 participants. The results held even after the researchers took into account risk factors for Type 2 diabetes such as age and physical activity levels, body mass index (BMI) and the total daily calorie intake. The findings agree with earlier studies in the United States, which found daily soda consumption increased the risk of Type 2 Diabetes by twenty five percent. The authors also observed a statistically significant increase in Type 2 Diabetes incidences related to artificially sweetened soft drink consumption, however this significant association disappeared after taking into account the BMI of participants; this probably indicates that the association was not causal but driven by the weight of participants. Pure fruit juice and nectar consumption was not significantly associated with diabetes incidence; however it was not possible using the data available to study separately the effect of 100% pure juices from those with added sugars. Healthy food choices such as eating plenty of fruits and vegetables, daily exercise and weight loss can help prevent Type 2 diabetes, or slow the progress of the disease in those who are developing the disease, according to the Mayo Clinic. “Given the increase in sweet beverage consumption in Europe, clear messages on the unhealthy effect of these drinks should be given to the population,” Romaguera concludes.